Ding Yong is the founder of Wild Wolf Valley, a tourist attraction in Zixi County, in east China's Jiangxi Province. The area, set to open to public soon, is themed on wolves. In Ding Yong'an's Wild Wolf Valley, statues of howling wolves stand on the streets and hotels and avenues are decorated with wolf images and named in connection with the animals. "I plan to bring real wolves here for people to see," Ding said. "I have arranged some wolves and they will arrive soon." Ding is the founder of Wild Wolf Valley, a tourist attraction in Zixi County, in east China's Jiangxi Province. The area, set to open to public soon, is themed on wolves. Ding hopes the idea can help bolster local tourism. Before his wolf project, Ding was a successful granite supplier in Zixi. The county, located in the mountains, has rich granite resources, which gave rise to many granite processing factories. In its height, the county had more than 80 such factories. Ding's company took in more than 10 million yuan (US$1.6 million) in revenue annually since it was established in 2004. While guaranteeing solid profits, the business also threatened the environment. Local authorities began to persuade the granite factories to close in the 2010s. "The government wanted me to take the lead in closing the factory," Ding said. "Because I was the head of Zixi's private entrepreneurs' association, people were watching my actions." Ding decided to close all of his granite businesses. "I was at a loss," he said. "I didn't know what to do next." In 2014, a local official recommended he watch a TV show about a man named Yang Changsheng who domesticates wild wolves in northwest China's Xinjiang Uygur Autonomous Region. "The idea just excited me," Ding said. "I felt like it could be my new career." Three days later, Ding flew to Xinjiang and met Yang. The two soon became friends, and Ding became obsessed with wolves. He later became Yang's apprentice and studied how to raise the animals. Ding also spent almost 1 million yuan traveling around the country visiting similar projects. "I thought it would be a good idea to combine the wolves with tourism," Ding said. He registered a tourism company in Zixi, and invited Yang to the county to pick an ideal site to develop "wolf tourism." "Yang highly praised the environment in Zixi and said that it was a good area to raise wolves," Ding said. "So I decided to develop a tourist attraction featuring wolves: there would be hotels, wolf statues, and agricultural tourism." Ding's idea came at a time when China's tourism industry was on a fast track after 40 years of reform and opening-up. In 2017, about 5 billion people traveled around the country, up 12.8 percent over the previous year. 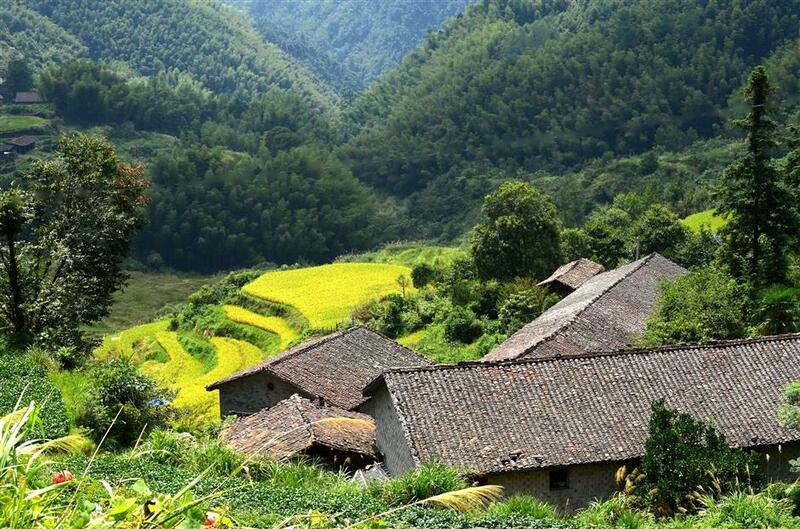 Officials in Zixi were also eager to bolster the local tourism industry, and the local government had created a variety of policies to support rural tourism. Programs such as "Beautiful Countryside" and "The Pure Land of Zixi" were heavily promoted. Ding's project won government recognition, with Wild Wolf Valley listed as one of its top programs. The local government granted interest-free loans to local tourism companies such as Ding's, and promised to support guesthouses, where homeowners open their unused rooms to short-term lodgers, usually tourists. Wild Wolf Valley covers an area of more than 200 hectares, with the first phase of investment around 160 million yuan. The project will feature tourism facilities as well as guesthouses. According to Ding, if local families open guesthouses as part of the project, they can make great profits. "For example, if a family provides two rooms, and each room earns 150 yuan per day, the family can make about 60,000 yuan a year," Ding said. Ding hopes that Wild Wolf Valley can become a top-level tourism attraction in three to four years, hosting more than 3,000 visitors every day on average. There are already some guesthouses in operation in the area, and other tourist infrastructure, such as Fang Avenue and Wolf Garden, are almost complete. Ding has signed an agreement to bring some of Yang's wolves to live in the area for tourists to view. "I hope that the valley can truly power the tourism industry in Zixi," Ding said.